The EM64 posits a lively, fast-paced presentation with an emphasis on detail retrieval. It’s a signature driven by balance, openness and air, followed by top-end bite. But at the same time, it possesses an even tonal response, which ultimately prevents it from ever sounding clinical, sterile or saturated. The result is a linear, neutral tone with the necessary peaks for crispness and clarity. Switching between tracks, there’s a fair bit of tonal transparency. Although the colours along the upper-mids and treble remain the same, the EM64 does alter its low-end and note structure in accordance to the track. So, if you’re balancing bass, editing stems or shaping melodic instruments, the EM64 is a more-than-capable tool. 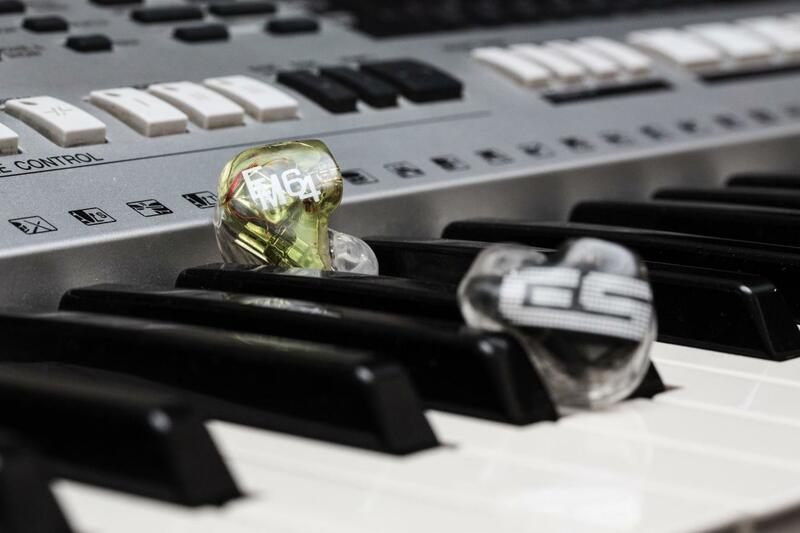 Spatially, the EM64 fares fairly well with an evenly proportional, stable and airy soundstage. Headroom beyond suffices as well, which is crucial given the monitor’s energy. No matter what lies upstream, the EM64 rarely lets up in terms of engagement and bite. This is why it wouldn’t be my first choice when it came to mastering, for example. Nevertheless, the EM64’s tonal balance, speed, coherence and top-end refinement effectively repel fatigue from ever setting in. Again, detail retrieval is high and – despite the EM64’s vibrance – separation impresses as well. Pockets of clean air constantly reside between instruments and a swift, even decay ensures clarity without compromising organic resolution. Again, the EM64 possesses a rapid, energetic sig ideal for performing, with sufficient body and headroom for long-term listening. The EM64 possesses a low-end that inches just above neutral, supplying healthy amounts of bass impact and rhythmic drive. It’s impressively linear from the sub-bass up, so aspects like warmth, lushness and bloom remain minimal. It’s a more physical, melody-driven bass that emphasises separation, tonality and clarity above euphony. When monitoring, editing or mixing bass guitars and kick drums, the EM64 exhibits admirable transparency. Subtle changes come through decently well. But at the same time, sufficient warmth is present in the mid-bass for notes here to come across organic and realistic – by no means sterile or dry. For an armature-driven low-end, there’s a natural sense to its decay as well. Again, it’s quick enough to distinguish between different bass elements, but kept sufficiently musical at the same time. Much of the low-end’s success stems from raw extension. The efforts EarSonics have invested into the EM64’s technical foundations have resulted in a low-end that does not rely on quantity to provide ample impact. Despite the region’s linearity, the bass has great density and physicality. Punches feel solid and concentrated, especially in the mid-bass. The sub-bass has comparatively been reined in a bit. Those yearning for the most visceral, most guttural of rumbles may find some to be desired. The EM64 is for the bass-ist; not the bass-head. Similarly, fans of EDM may not enjoy the EM64’s more documentarian take. But, I think this is a low-end that serves kick drums excellently for both performers and fans. It’s a balance of fleshiness, impact and resolution that brings out the best out of live, acoustic music: The EM64’s forte. Despite the slightest coloration in the uppermost registers, the EM64 delivers its midrange with a deft, calculated hand. 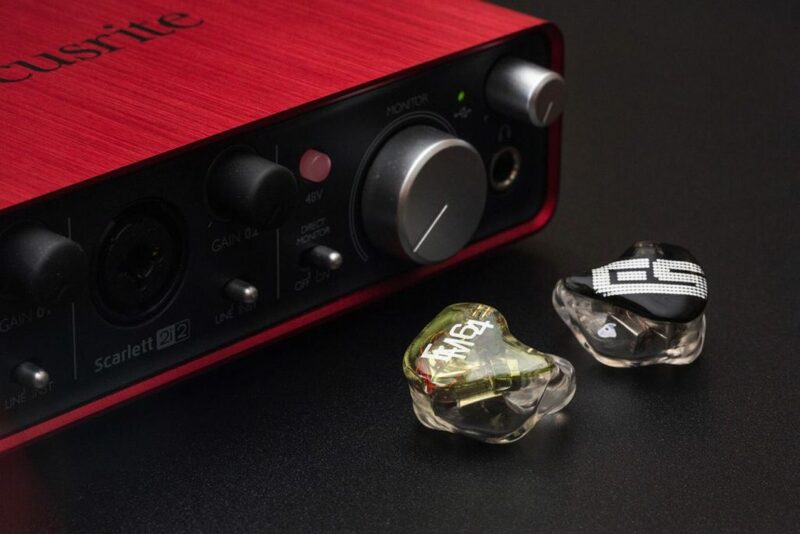 Perhaps by virtue of TRUEWAVE, the in-ear’s lead instruments almost occupy a plane of their own – separate from the ensemble, as if to say, “Give me space!” Within this bubble is a wealth of detail, separation and headroom, so elements like vocals, snare drums and electric guitars truly pop against the musical backdrop. But, excellent linearity throughout allows those very same instruments to sit back as well. Going from Rachael Price’s impassioned performance of Good Kisser to Laura Fygi’s sweet, sultry rendition of Like a Star, the EM64 accurately renders the shift in energy, projection, note structure and vocal timbre. Essentially, EarSonics have crafted a canvas for the midrange to colour with freedom. But, returning to that coloration, the EM64’s prominent treble does instil an inherent neutrality to its tone. Although the monitor is capable of skilfully discerning texture, positioning and dynamism, it’s more agnostic towards warmth or hue. Again, this is ideal for editing and (in several respects) mixing, but it would not be my first choice for mastering or tone-shaping. This is also a product of the EM64’s withdrawn lower-midrange, which pushes those euphonic overtones a hair behind the transients. But again, excellent coherence prevents all artificiality, and sufficient mid-bass presence give instruments the body they need. What’s truly most impressive to me is how vibrant they’ve made the upper-midrange despite the amount of air present around them at the same time. Typically, headroom comes from a recession of the upper-mids for vocals to breathe, but the EM64’s excellent technical foundation have allowed both to musically co-exist. Treble is perhaps where the EM64 excels most. Like Lime Ears, Jomo Audio and Kumitate Lab have in the past, EarSonics have crafted a refined, graceful and oh-so-clean top-end that rides the line between crisp and smooth exceedingly well. Snare drums in particular are an absolute joy to listen to with a pitch-perfect blend of body and crack. Electric guitars similarly roar with fat and grit. Transients are snappy and punchy, but (thankfully) never cross over to digititis territory. Again, behind all that bite is a subtle – but crucial – elegance that goes to show the maturity and sophistication behind EarSonics’ tuning philosophy. This is in large part due to the linearity and coherence that the Frenchmen have nailed once again. There’s perhaps a hair more mid-treble bite than what I’d call ruler flat, but it’s well within natural ground. Technically, the top-end performs immensely as well. High extension is what grants the EM64 its spherical, holographic stage. And, it also provides the headroom required for a stable image. Again, this comes complemented by excellent coherence, so no instruments come across artificial. But, in my opinion, the EM64’s greatest technical accomplishment comes in the form of speed. Throughout the entire frequency range, every note sounds like they stop and start at the exact same time. As a result, there’s a real rhythm to how transients attack and decay, which further boosts dynamic range. There aren’t any lingering overtones that stay long enough to muck up the background either. I believe this is where EarSonics’ TRUEWAVE technology performs most evidently, and it’s where the EM64 is truly at its most striking. Outstanding precision, separation and speed: TRUEWAVE technology grants the EM64 excellent rhythm and timing, as well as a spacious, stable stage. This is a feature that’ll appeal to engineers who wish to analyse their mixes and performers who demand scrutiny. But, it’s also ideal for detail-heads who wanna squeeze as much as possible out of their tracks. Smooth, forgiving clarity: Thankfully, clinical precision does not translate to clinical sound. The EM64 possesses excellent refinement with neither a rough edge, nor an awkwardness, nor an unwelcome dip in sight. Again, audiophiles or pros who do not wish to compromise musicality with their precision tools should have nothing to worry about on the EM64. 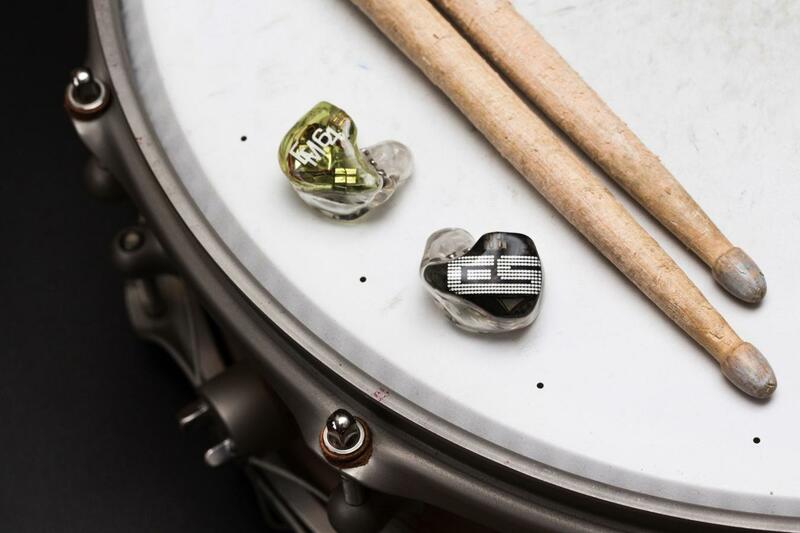 A neutral, clarity-focused signature with bass impact: In-ear monitors designed for professional work tend to achieve their precision by sacrificing low-end content. The EM64 – through extension and speed – impressively retains both with zero compromise to either faculty. So, whether you’re an audiophile or an engineer, have no fear – bass is definitely here. Warmth, euphony or bloom: Although not recessed by any means, the EM64 does position its harmonic content a hair behind transients. This means notes largely keep to themselves as tiny islands in a sea of instruments. If you prefer a richer, overtone-filled, pillowy signature where warm air musically binds everything together, the EM64 is not for you. Laid-back, relaxed and neutrally-positioned vocals: EarSonics’ house sound almost demands lively, vibrant and projective upper-mids. Vocalists sound breezy, airy and effortless, but are positioned closer towards the listener. If you prefer a presentation where the lead instrument sits in-line – or even a hair behind – the rest of the ensemble, the EM64 isn’t it. 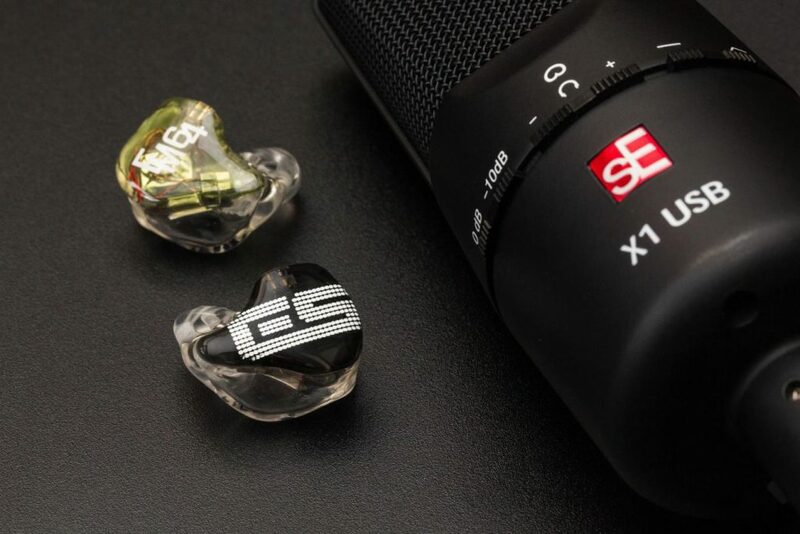 A supremely smooth treble: The EM64 is not an IEM to offend, especially through sibilance. But, it does have an inherent bite to its treble; a harmless tizz almost. So, if you prefer top-ends with a bit of roll-off, the EM64 is not the IEM for you.